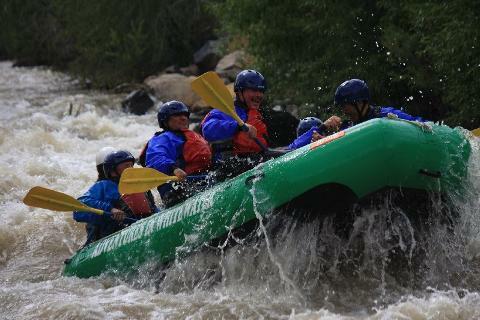 Clear Creek has the perfect Class III stretch only 30 minutes from Denver, Golden, and Colorado's Front Range cities. 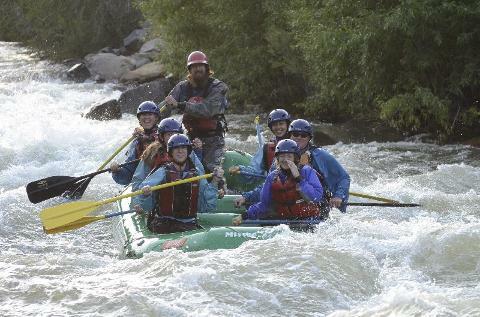 Our Beginner's Bonanza tour is a fun, splashy, and fast-paced thrill-ride for those seeking a more active entry-level paddling experience. Paddle roughly 6 miles of narrow, splashy, fast-moving creek water, punctuated by awesome Class III rapids like "Wild Wild West", "Castle Falls", "Subway", "Dizzy-Lizzy"," Mountain Lion", "Box", and "Twister". 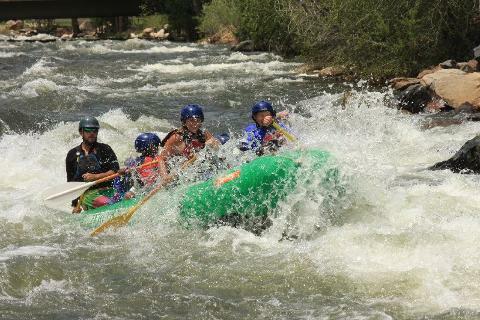 The continuous whitewater of Clear Creek is fast-paced and fun for all ability levels, groups, and kids 6 years and older. 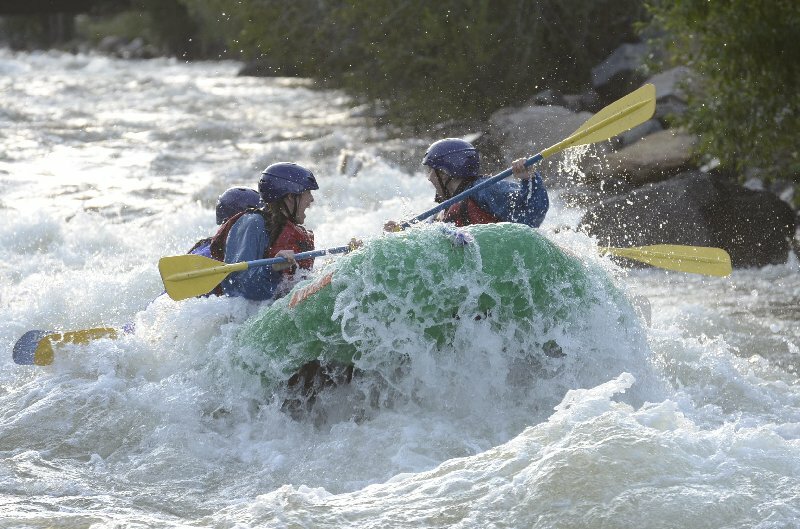 Clear Creek was the site of Colorado's Gold Rush in the 1800's, and the rich legacy is right along the shoreline. The avid history-buff will relish in the 170 years of gold mining history, but the kids may be too stoked on the Class-III rapids to notice! 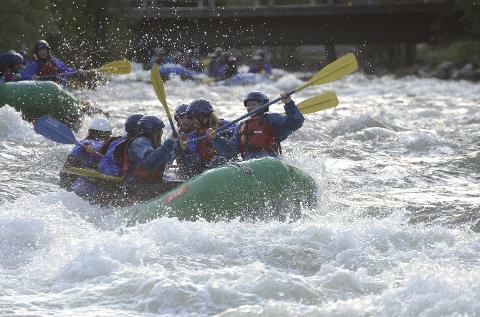 Splash jackets, wetsuits, and helmets are all included in all Adventures in Whitewater trips free of charge.